Sooty mould is not a plant disease as such but various species of fungi, which grow on the sticky honeydew excreted by many species of sap-sucking insects. A very thick mould layer on leaves may cause a reduction in photosynthesis in plants, which can result in leaves falling prematurely. The main concern to gardeners (apart from the sap-sucking pests which caused it) is that a thick covering of sooty mould on a plant’s leaves is downright ugly. Sooty mould is a serious problem for the horticultural industry. Ugly plants are unsaleable. 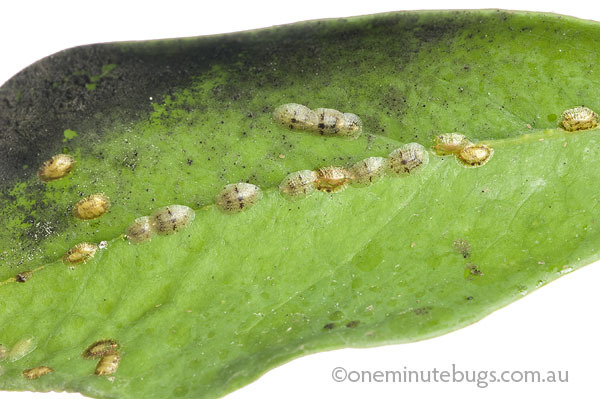 Similarly in the citrus industry, the main economic damage caused by mealybugs is by the downgrading of fruit quality due to sooty mould growing on mealybug honeydew. The picture below shows a leaf infested by soft scale insects and the sooty mould they cause – pretty ugly eh?